NISS also seeks arrest of two previously acquitted, South Sudanese church leaders. JUBA, South Sudan, December 20, 2015 (Morning Star News) – Security officials arrested two Sudanese pastors in the Khartoum area of Sudan on Friday (Dec. 18), sources said. Authorities from the National Intelligence and Security Services (NISS) arrested both leaders of the Sudan Church of Christ (SCOC) separately at their respective homes at 7 a.m., they said. The Rev. Kowa Shamaal, head of missions at the SCOC, was arrested at his house in Hai Thiba Al Hamyida, in Khartoum Bahry (North Khartoum), while the Rev. Hassan Abdelrahim, SCOC vice moderator, was arrested at his home in Ombada block 43 in Omdurman. 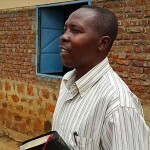 Family members and church officials have been given no reason for the arrest of the pastors, who have objected to government demolition of SCOC worship buildings. Their whereabouts were also unknown. “We have not gotten any information on why our pastors were detained, and their families have not been informed also,” an SCOC official told Morning Star News. Christians in Sudan are urging the international community and churches around the world to urge the Sudanese government to release the church leaders. “Let’s pray that God will be with them in any situation, including torture,” said a Christian in Sudan. 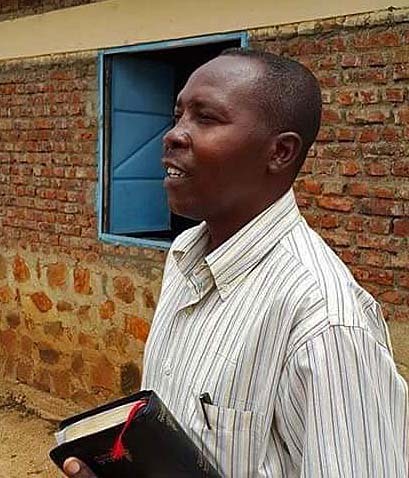 The arrest of the two pastors comes four months after the release of two South Sudanese pastors who were held after an eight-month ordeal of imprisonment, fabricated charges of capital crimes and a ban on leaving the country. Agents from NISS, said to be manned by hard-line Islamists, arrested the pastors. The Rev. Peter Yein Reith and the Rev. Yat Michael were acquitted of the crimes calling for the death penalty on Aug. 5 but were prevented from boarding a plane out of the country the next day. They were later reported to have left the country and arrived in their native South Sudan, and they have since relocated with their families to a third country. But the Court of Appeal in Khartoum last month issued a warrant for their arrest, as NISS has insisted that their case be reconsidered on appeal, source said. The South Sudan Presbyterian Evangelical Church (SSPEC) pastors had also been charged with spying (Article 53), punishable by death, life imprisonment or prison and confiscation of property; undermining the constitutional system (Article 50), punishable by death, life imprisonment, or imprisonment and confiscation of property; disclosure and obtaining information and official documents (Article 55), punishable by two years in prison or a fine; blasphemy/insulting religious creeds (Article 125), punishable by one year of imprisonment or a fine or no more than 40 lashes; and joint acts in execution of a criminal conspiracy (Article 21). An international outcry erupted over their weeks-long incarceration without charges after Morning Star News on Dec. 28, 2014 broke the news of Michael’s arrest, and on Jan. 20 published the first account of Reith’s arrest.